Walked back from Bradley Burn to Wolsingham along the river. We had a very good view of a Kingfisher on the Burn itself and saw 6 dippers on the River Wear. 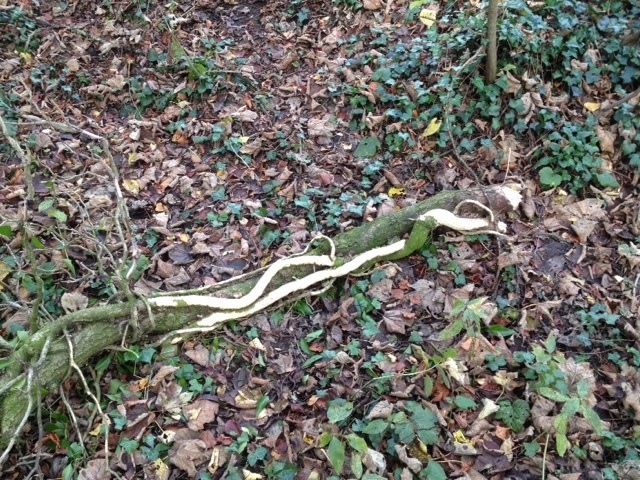 On our way back we saw some ivy branches stripped of bark and with obvious teeth marks. Probably a mammal but not sure what.